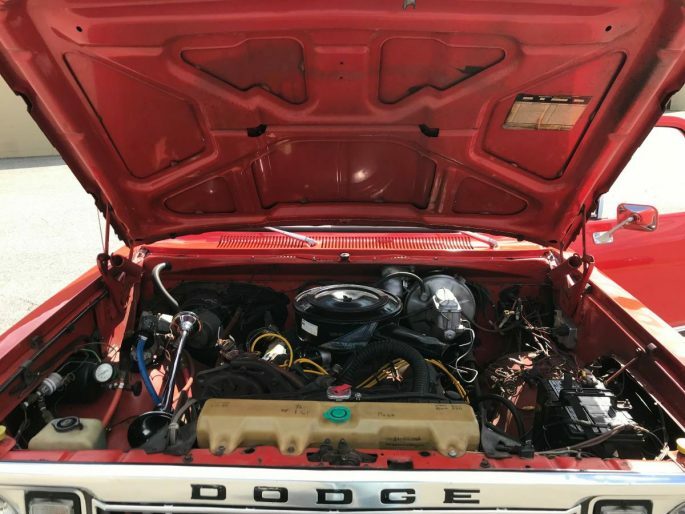 Original Owner Time Capsule: This Is One Of The Cleanest Early Dodge Ramchargers We’ve Seen In Ages! One vehicle that is a rare treat to see on public roads these days is the Dodge Ramcharger. Even though they were less popular than the GM and Ford competition, they were solid rigs that could handle pretty much anything you could throw in their direction. I grew up around Ramchargers; I had two uncles that had them and a friend of mine built a 360/4-speed 1988 back in college that absolutely RULED. While the second generation trucks built between 1981 and 1993 can still be found if you look hard enough in the backyards of your town, the earlier 1974-1980 models, along with their even rarer Plymouth Trailduster siblings, are nearly extinct. These early ones were super cool; they could be optioned with real big block Mopar power and they had removable tops, just like the K5 Blazer/Jimmy and the Bronco. And guess what? That’s just what we have to show you today. 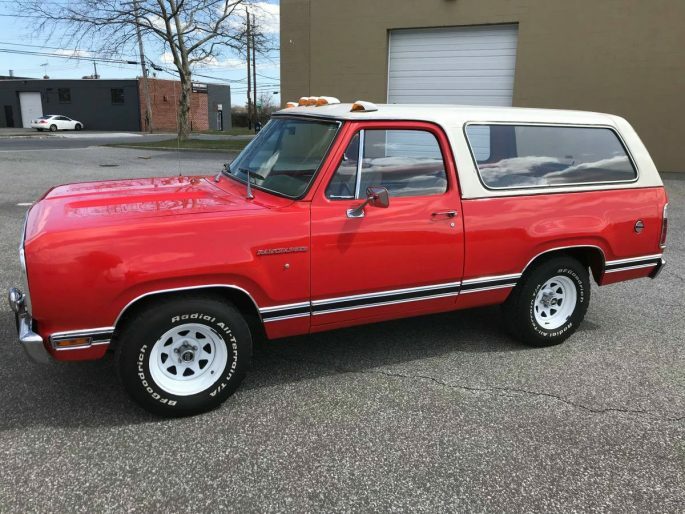 This might be the cleanest early Ramcharger we’ve seen; a one owner 2WD model from 1977 with a 400ci Big Block. Let’s check this thing out! 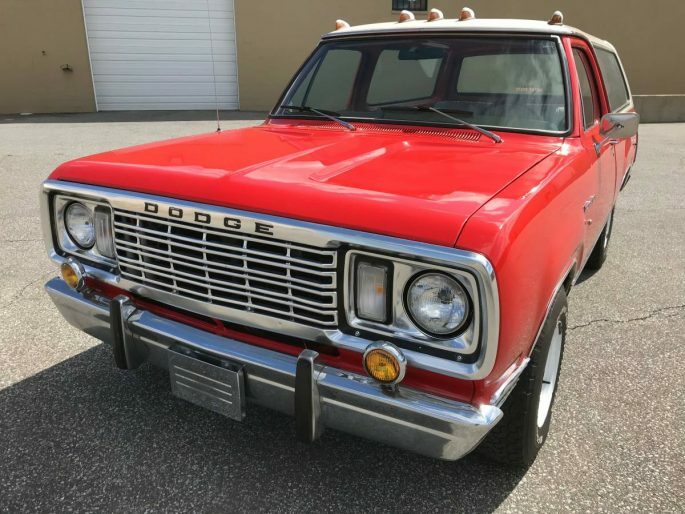 Here it is: a 1977 Dodge Ramcharger wearing bright red paint and sporting a white top. I’m not sure if the cab lights or the bumper mounted fog lamps are stock, but at worst, they are “Day Two” accessories. The 1978 Ramcharger Sno-Commander my great uncle used to plow his driveway with had similar lights, so who knows! As said before, this one is a 2WD model, making it even more rare today. Most of these left the factory with 4WD. The white wagon wheels wrapped in BFG Radial All-Terrain T/A’s give it a perfect stance and we wouldn’t change a thing! 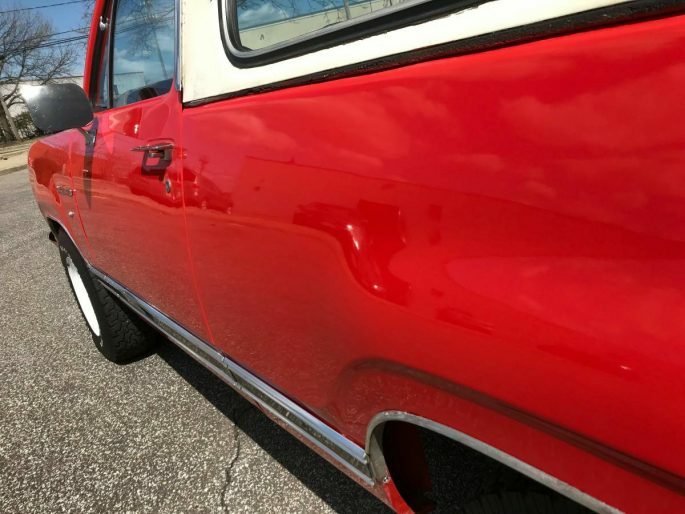 Even the side trim is all there, which is a miracle in itself. This thing is arrow straight and mostly rust free, which either means that the 48k miles on the odometer is legit or it’s had extensive work done. As much as I love these things, they rot out with a force that is unrivaled, which is why they are just about extinct in the land of the BangShift World Headquarters. This one hails from Long Island, NY. It was originally purchased in Connecticut and is somehow still intact some 41 years later, which is nothing short of a miracle. 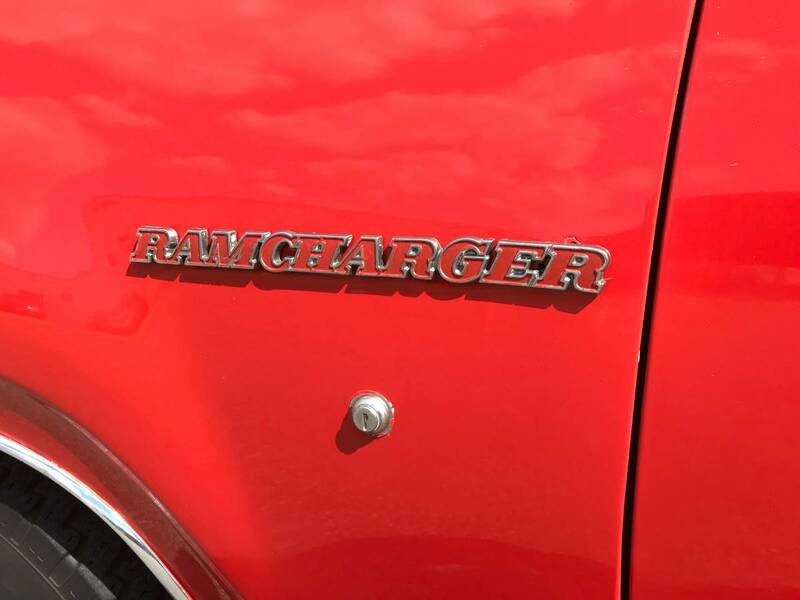 As stated before, the tops on the early Ramchargers and Traildusters is completely removable, just like the Broncos, Jimmys, and Blazers from across town. This one, just like everything else on the truck, looks to be in fantastic shape. This thing would absolutely rule as a top-off cruiser! Moving inside, the reupholstered white vinyl buckets are in great shape, as is just about everything else in the interior. 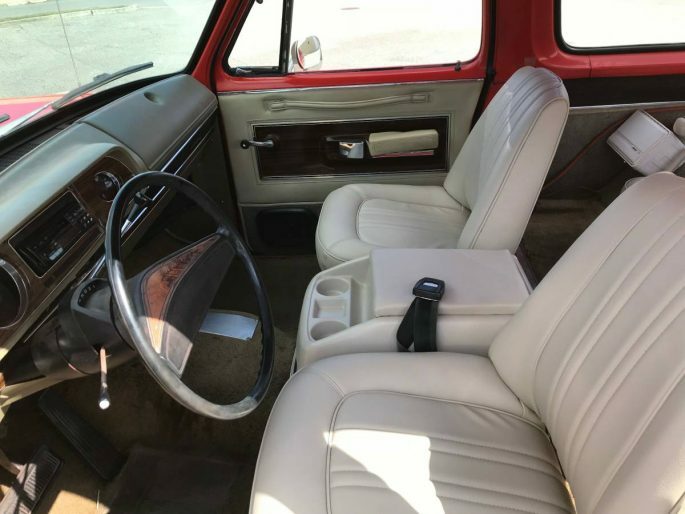 The dash and carpet are a shade of “Malaise Gold”, and seem to be all there, and the truck comes with a new carpet to boot. The only issues I see in here are the passenger-side door armrest being a little wonky and that someone cut the dash to install a 1990’s CD player. For shame! If I remember correctly, the back seats on these are easily removable, so you can almost use it like a truck if you wanted to. 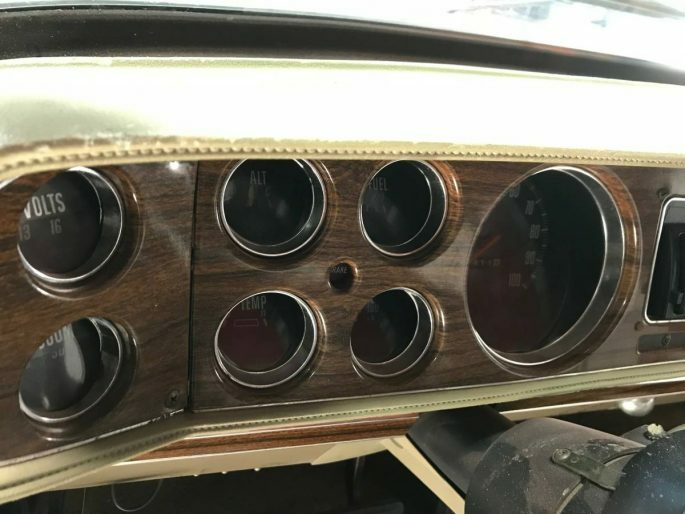 This Ramcharger is sporting a full set of factory gauges in lieu of the warning lights you usually see on the 70’s Mopar trucks. Even the simulated woodgrain bezel is in good shape. 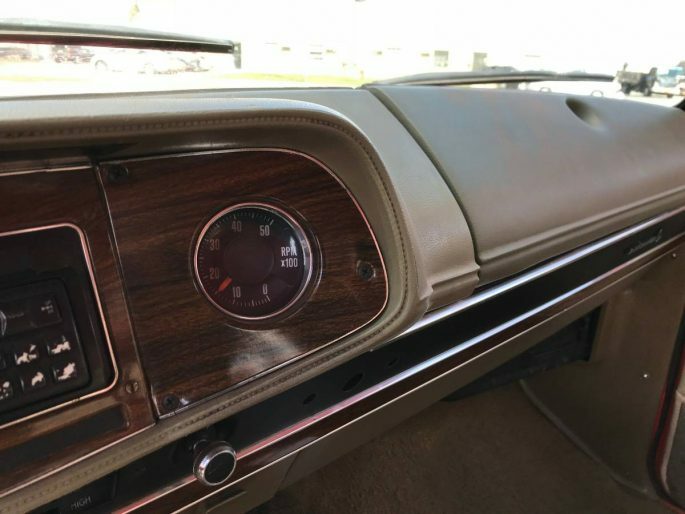 In addition to those gauges, this Ramcharger is sporting the optional tachometer, which has to be a rare find today. 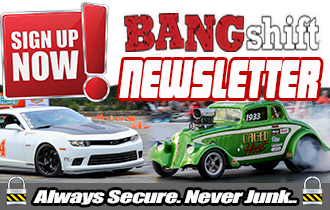 Moving underneath that big “bird bath” hood, we can see the 400ci Big Block V8, likely backed by a TorqueFlite 727 3-speed automatic. 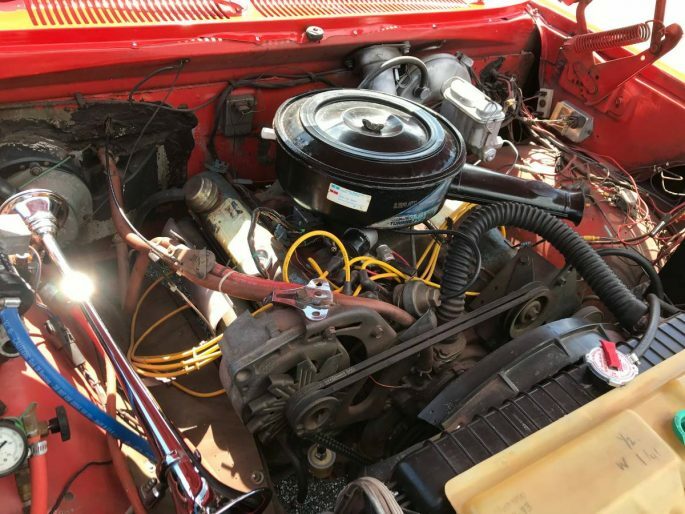 1977 was one of the last years the traditional Big Block Mopar engines were offered, with the 440 bowed out in 1974 in the Ramcharger (1978 in everything else). This one didn’t make a lot of power in 1977, but a few hundred bucks in parts, a weekend, and a case of Miller High Life would wake one up just like anything else from that era. Still, it’s cool to see one of these under the hood. 1970’s truck engine bays rarely look as pristine as some of the low mileage cars we see from the same era, so I’ll give this one a pass. Yes, there are some aftermarket bits here and there, but it’s largely in decent shape. 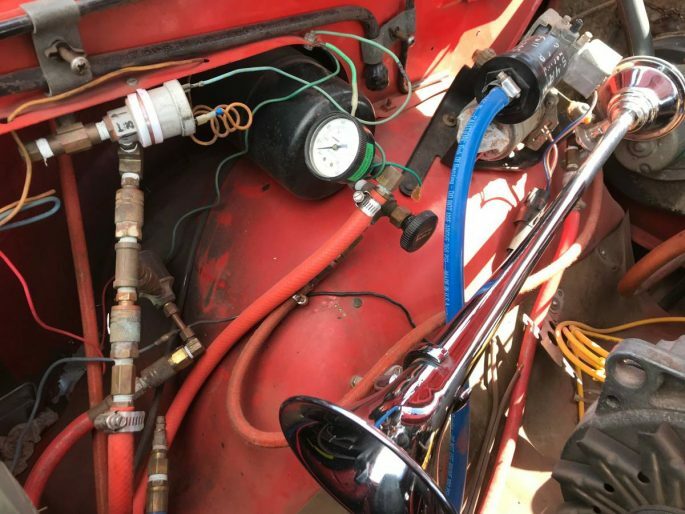 Is that a train horn on the left? There aren’t too many shots underneath this rig, but look at this one of one of the leaf spring perches. The frame appears to be dry and clean, and probably in better shape than most 5 year old trucks in the rust belt. That right there is impressive. 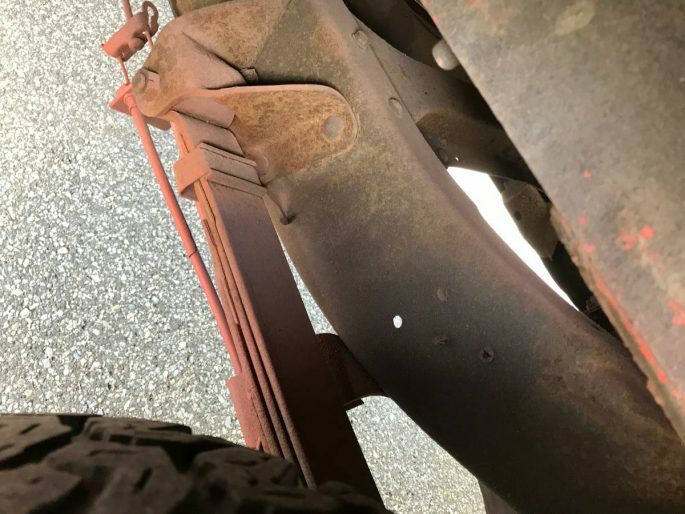 This truck is being offered up on Craigslist for $13,500, and although the seller states that it has a couple rusty spots in the floor pan and one of the inner wheel wells, I’m going to go ahead and say that the price is perfectly reasonable. Again, when was the last time you saw one of these in this kind of shape? Hell, when was the last time you’ve seen a running, driving early Ramcharger AT ALL? I’m going to have to all the way back to my childhood, sitting in my great uncle’s 1978 to remember the last running, driving one I’ve seen with my own two eyes. Whether you view the fact that this one is 2WD as a bonus or a hindrance, it’s a super cool truck, and 100% BangShift Approved! This thing would make such a cool cruiser; stab in you cam of choice, toss on a decent intake and carb, and cruise the rig until the BFG’s wear out! We fully expect one of you crazies to snag this thing! As you would know, these do not come up for sale often and I have one that is from the original owner! Rare would be an understatement! 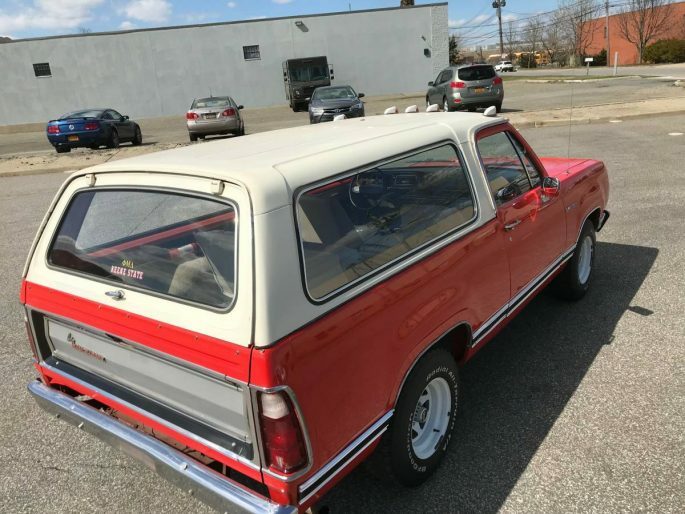 Truck is from Connecticut with 48k orig miles and was purchased out of Glen Dodge back in 1977 from Milford Ct. and I have almost every piece of original documentation that you could possibly want including orig invoice, bill of sale, title, brochures, warranty books, etc! It has factory gauges and that cool little factory tach in the dash next to the stereo. It also has a nice aftermarket stereo with CD player. The engine is the original 400 engine that runs perfectly. The truck drives very well. 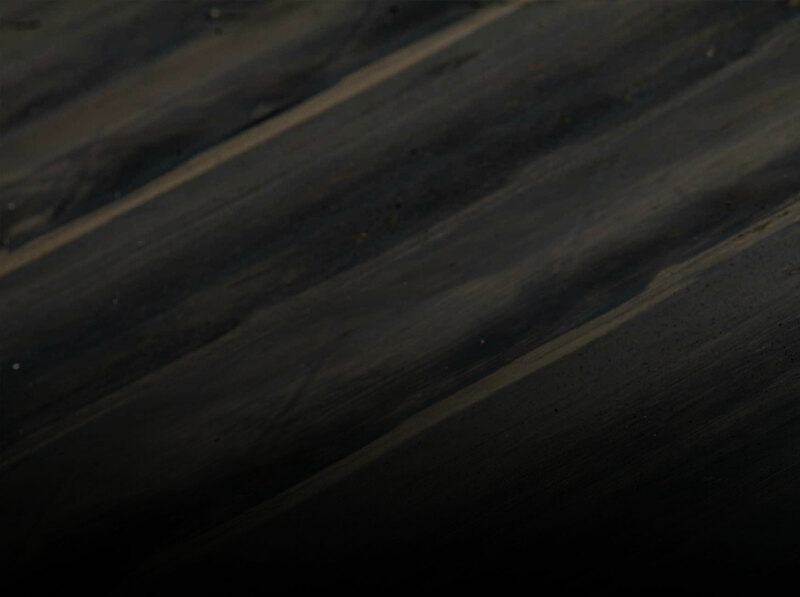 Truck has original panels and floors with a perfect frame and body panels but there is a small rust spot on one of the floors and a rust spot on the rear inner wheel housing but very dry for a northeast truck! 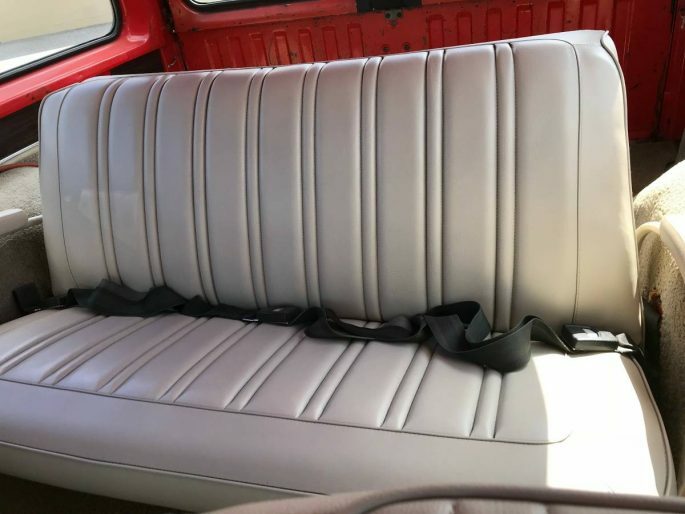 The interior is very nice with restored seats and I have a brand new carpet for it that will come with truck or be installed before that if I get to it. Always was fascinated with the 2WD version of these including the Blazer too.